You are here: Home / General Market / Identify Market Tops and Bottoms by Doing this, Guaranteed! Aggressive trend and swing traders would have been given the green light to dip a toe into the water in late March 2009 but with tight stops. 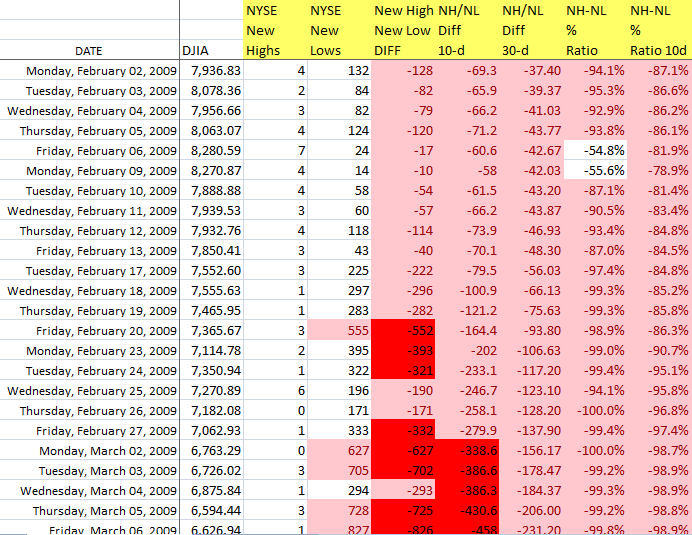 I will not speak for day traders but I would imagine that they were all over the March 2009 signals. 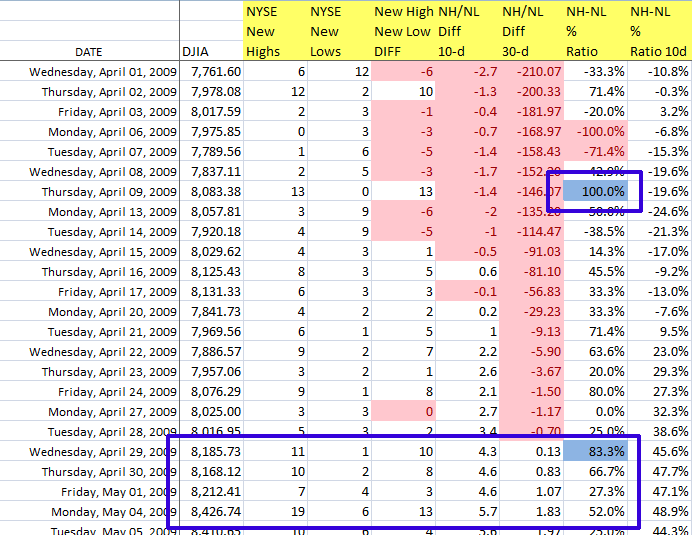 April 2009 gave traders reason to get more aggressive on the “long side” of the market. Consistent New High readings above 100-200+ per day is my official confirmation to add shares for mid & longer term investors. However, a confirmation must be signaled before jumping “all-in” and this confirmation is triple digit New High readings. The confirmation for a mid or longer term trader is the most important indicator after a change in trend has been identified. 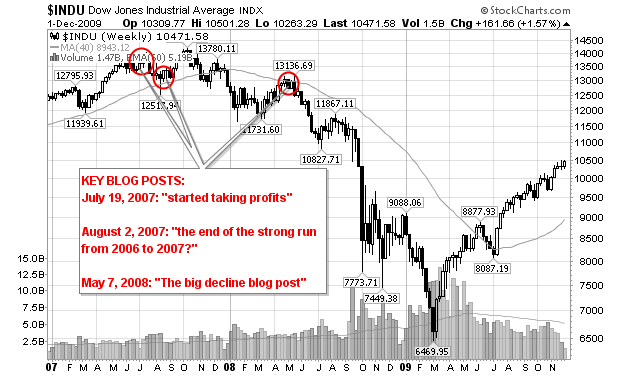 Until this happens, a “true” up-trend is not sustainable over the long term. 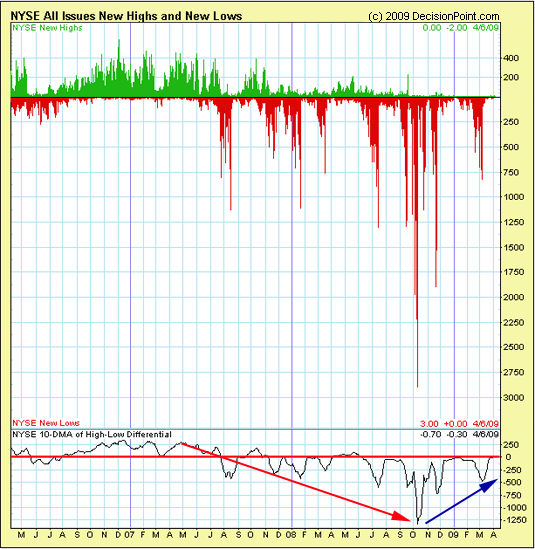 As you will notice, the up and down whipsawing from March 2009 to July 2009 is what a trader can expect until consistent readings in the triple digits prevail. It wasn’t until July 2009 that this confirmation in STRENGTH (underlying breadth) took place and the market signaled that the nasty bear of 2007 and 2008 was over. 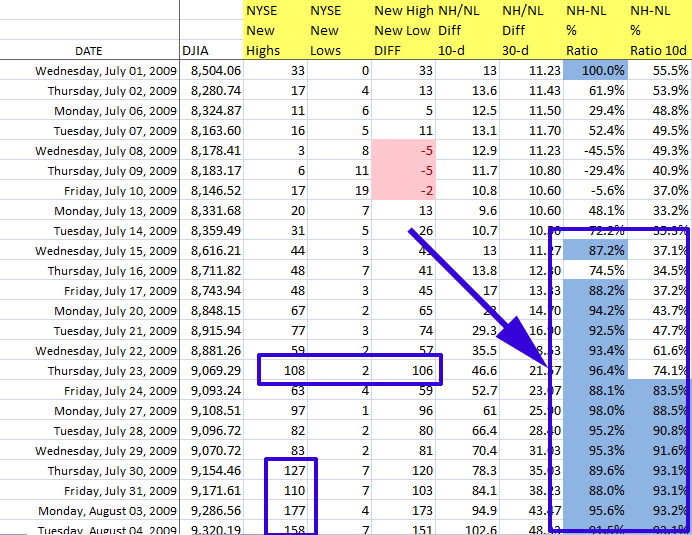 Thursday, July 23, 2009 was the day the market logged its first triple digit New High reading with 108 NH’s and 2 NL’s. 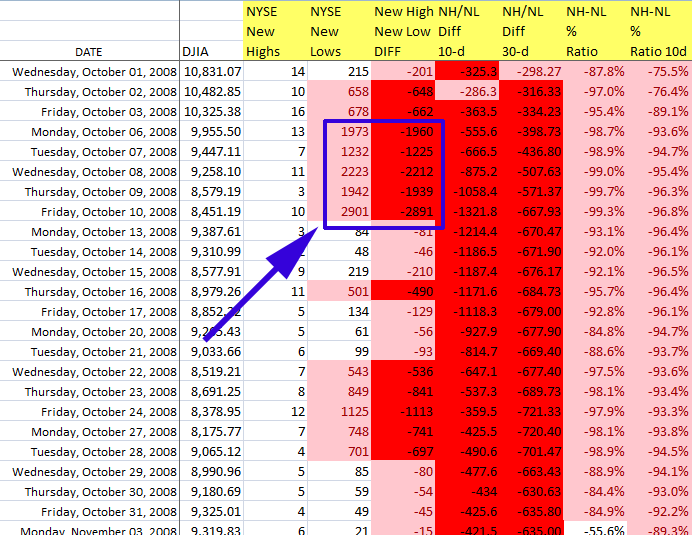 From there, the market was off and running as triple digit readings became commonplace and it wasn’t too long before 200, 300 and 400+ New High readings were logged (October 14, 2009 gave us 462 NH’s and 2 NL’s). 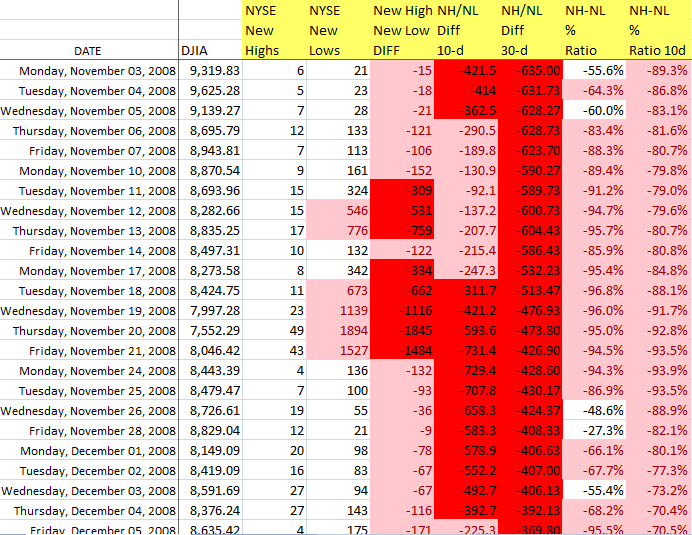 By January 2010, the NYSE had its first 500+ New High reading (1/11/2010: 523 NH’s and 1 NL) in more than 3 years (December 5, 2006 was the last 500+ reading when the DJIA was trading 2,000 points higher). Fast forward to March 2013 (today) and we are currently in an environment where many pundits are predicting a correction or coming bear market. They may be right but why fight the trend when it clearly points higher. I don’t necessarily disagree with the so called “experts” but I will not make a move until the NH-NL ratio confirms a change in trend. As it stands now, the NH-NL data is logging positive “blue day after blue day”. Until the NH-NL breadth starts logging negative readings on a consistent basis which will in turn change my graphical readings from blue to red, I will not turn bearish. Trends tend to last longer and go further than expected so wait for confirmation. The 10-d and 30-d average differentials must go negative (this is essentially the first sure sign that the market is changing direction – especially the 30-d diff.). Differential readings start registering figures larger than -300, -400, -500+. I will be analyzing the readings and will update my followers on twitter and will certainly post an article on the blog using the graphics to show the change in trend, when it happens. Please be aware that the signals could come next week, next month or even next year (no one knows, except the NH-NL ratio). By carefully studying the New High and New Low readings, an investor with a longer term time frame can avoid getting slaughtered during a nasty bear market – at all stages (beginning, middle and end). This same investor will also be given a green light as to when he should start adding shares after a long hibernation. If a longer term investor ONLY trades based on the major NH-NL signals, he would always outperform the markets and most likely outperform the majority of professional investors. The same logic holds true on the positive side. The NH-NL indicator will begin to log negative or “red” graphical readings as the change in trend commences after a long up-trend. 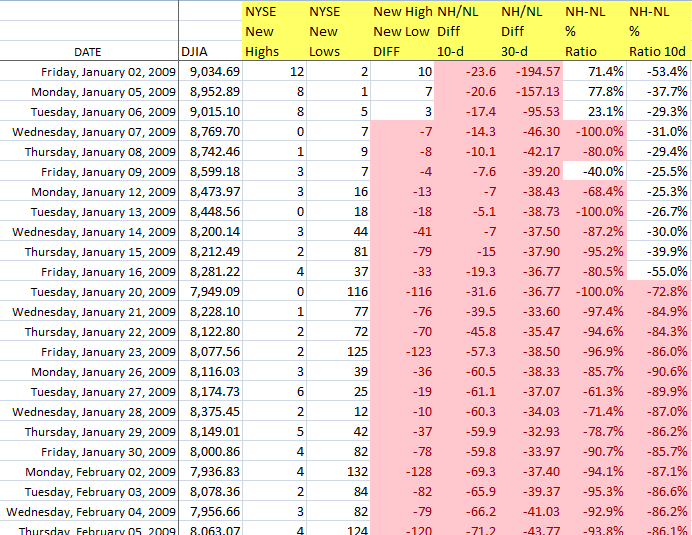 Calling a market top is not nearly as easy as calling a market bottom but the NH-NL indicators will give warnings. 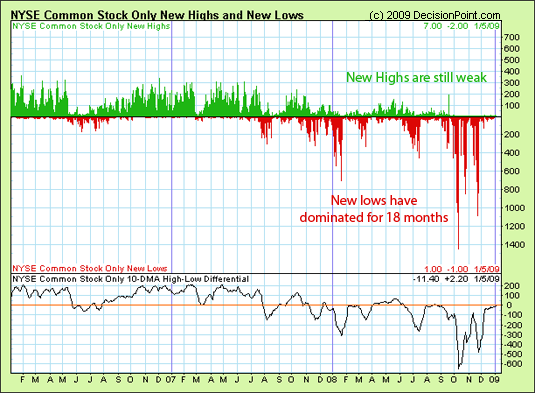 Failure to employ the power of the New High New Low market breadth is failure to confidently identify a major change in trend. Don’t get caught up in the day-to-day nonsense of the financial “talking heads”, the so-called experts on twitter, on blogs or the political mind-games played by the governments and central banks of the world. Follow market breadth, it can’t be manipulated! Is this 52 week new high new low or are these all time New high-new low reading? Thanks for sharing this valuable data. Valid point, but I would watch the S&P vs the Dow. There is an old trick that the institutional guys use. They bid up the Dow while the escape through the S&P. 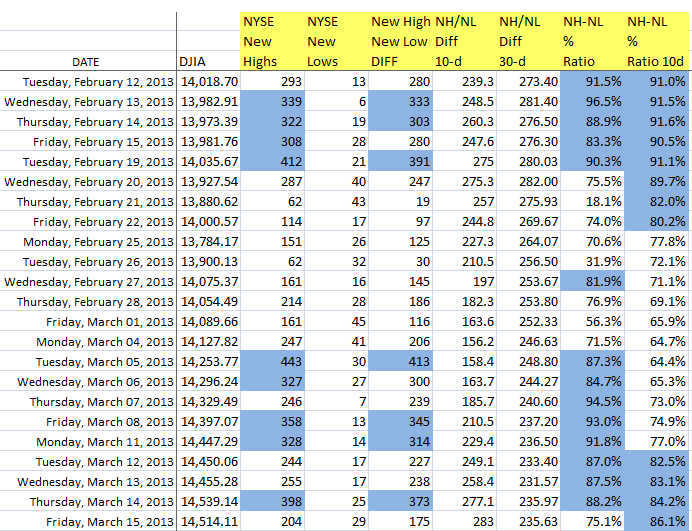 I watch the NYSE and NASDAQ NH-NL’s side by side in a spreadsheet, similar to the graphics uploaded in the post. 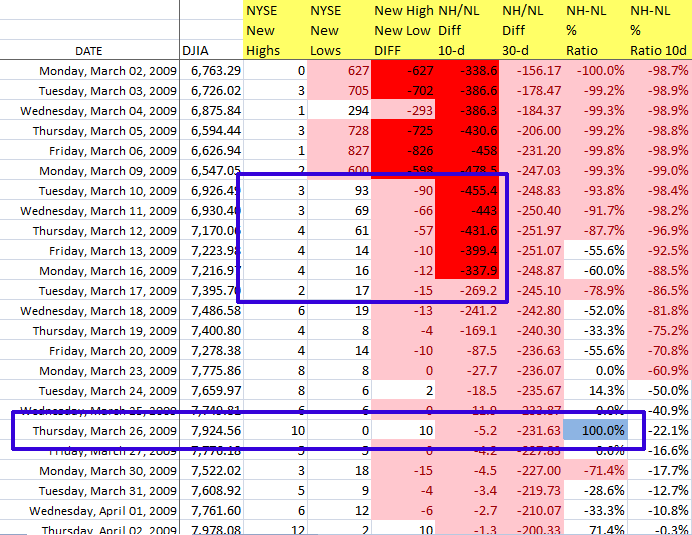 Price and volume along with NH-NL will always nail the “major” trend. Smaller trends don’t apply as well. Have you tried using shorter or longer durations than 52 weeks? 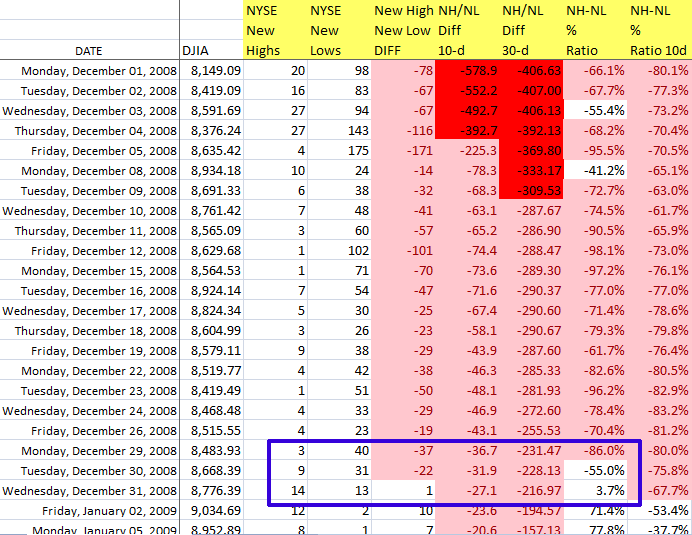 There’s nothing special about a year, other than that people see 52-week highs/lows reported. Interesting observations! 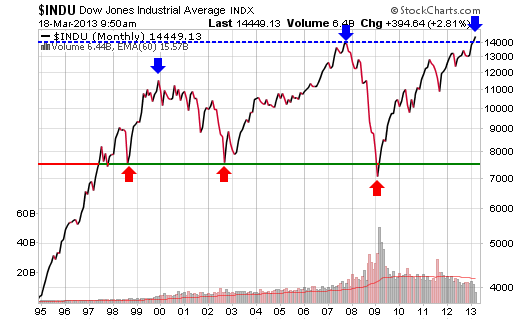 It’s always worked for longer term changes in trend so I have not modified the yearly setting. I would suspect that it would work on shorter time frames. I have been watching new lows for a couple of decades. Glad to see more interest and creative approach. I will look at your work on new highs and the nh-nl ratio carefully but I am skeptical that combining the two ends of the distribution is more useful than watching each end separately. Appreciate the article very much. Thanks. Very informative post – Thanks. Qucik question: Where are you getting the raw NH-NL data from? Are you looking @ only the NYSE or NASDAQ as well? Pinnacle.com sells the raw data for NYSE, NASDAQ and other indexes. As a newbie to IBD’s philosophy, can you please help with highlighting features offered between their different products? Vis a Vis: Investors.com / MarketSmith / DailyGraphs and anything else? I believe you use DailyGraphs? Can you please shed some light on the other tools as well? Nice work! Since your data goes back to the early 80’s, i was wondering if you have used the same methods to analyze the 87 crash. Reason i ask is that even in J. Mamis “Nature of Risk” it seems that were few and very brief signals of the impending crash that lay ahead. I know you say that tops are much more difficult to identify but would your method have let you see that one coming? 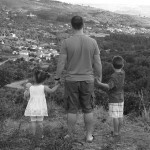 Your question has inspired a follow-up blog post that I hope to upload this week. It’s amazing how the NH-NL gave clear warnings, 5 key warnings before the crash (6 weeks time to scale back or even get out completely). I use MarketSmith screening mostly. Daily Graphs no longer exists (it has become Marketsmith). I don’t use investors.com or the newspaper although I was a subscriber for many years before Daily Graphs and now Marketsmith. Marketsmith is expensive and not for everyone but I find their screens valuable. Pinnacle.com – for a fee. I have no affiliation with them – it’s where I buy my data. Hi Chris, great post! I use Stockcharts.com $NYHGH and $NYLOW indicators ( http://scharts.co/11M8r0b ), but I found differences with your data and back in time. Do you know why this happen? Thanks in advance..